Agni V, a long-range surface-to-surface nuclear-capable ballistic missile, was successfully launched from a canister on a road-mobile launcher at the Dr Abdul Kalam Island off the coast of Odisha, today. 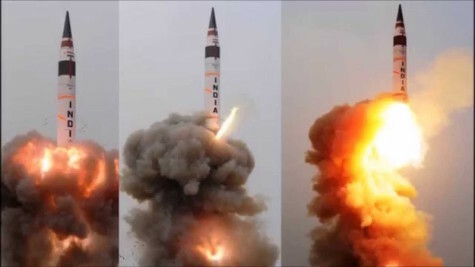 The launch operations were carried out and monitored by the Strategic Forces Command (SFC) in presence of Scientists from Defence Research and Development Organisation (DRDO) and other associated officials. All the mission objectives were successfully achieved. This launch comes after a series of successful launches of the missile. It further strengthens the country’s deterrence capability, which has been developed indigenously by assiduous efforts of scientists.